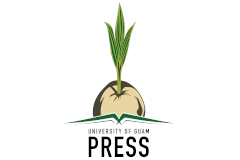 The University of Guam Press (UOG Press) publishes an array of academic and literary books and journals with a specific focus on the unique history, environment, peoples, cultures, and languages of the islands that make up the Western Pacific region. The University of Guam Press strives to increase the availability of exceptional scholarly and literary texts that can be used as learning resources about Guam and Micronesia for people and institutions in the region and throughout the world. UOG Press is an integral part of the Richard Flores Taitano Micronesian Area Research Center (MARC), which holds the most extensive repository of information about Guam and Micronesia. UOG Press extends the MARC’s mission of collecting, preserving, and providing access to reliable and accurate information about the peoples and cultures of the Western Pacific, thereby advancing scholarship and learning in and about the region. The University of Guam Press is seeking a highly qualified, full-time project manager for a 12-month employment contract to help develop and execute a comprehensive plan for the development and publishing of three social studies textbooks that will be used in Guam Department of Education elementary schools. In this April 11, 2019, radio segment on ancient ground stones found in Arizona, KJZZ 91.5, the public radio station in Tempe, Arizona, interviews UOG Press Managing Editor Victoria Leon Guerrero on the history of a similar implement found in Micronesia, the lusong. 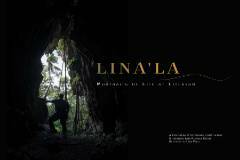 The University of Guam Press publication "Lina'la': Portraits of Life at Litekyan" has been selected as a bronze medal recipient in the 2019 Independent Publisher Book Awards. The book was in the Best Regional Non-Fiction category for the Australia/New Zealand/Pacific Rim region. Representatives from UOG Press and the UOG's Richard Flores Taitano Micronesian Area Research Center will accept the award on May 28 at a ceremony in New York City.